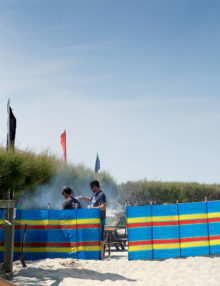 Become a member of West Wittering Windsurf Club and enjoy all of the benefits. 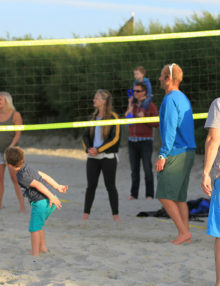 Sail at one of the only South Coast locations that is fine at any state of tide and benefit from rescue facilities, a thriving social scene, hot showers, free tea, coffee and wireless internet. Full info below. 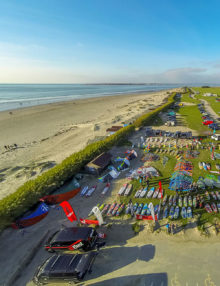 Become a Social/Sup/Surf member of West Wittering Windsurf Club and enjoy all of the benefits. 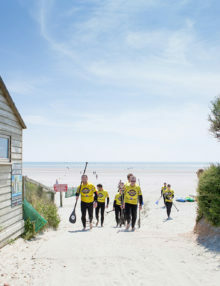 Socialise/SUP/Surf at one of the only South Coast locations that is fine at any state of tide and benefit from rescue facilities, a thriving social scene, hot showers, free tea, coffee and juice and wireless internet. If you don’t have your own board then you easily hire them from us – always best to call in advance. If you are looking for a way of having fun with the family, keeping the kids busy and away from computer games, then don’t hesitate to join up today! Or if you are looking for a way of meeting like minded people and to enjoy your sport in a safe environment, look no further! All social club members who want to SUP or surf must have 3rd party liability insurance and we recommend SportsGuard from SportsCover Direct Insurance. And for new members there is a one-off joining fee of £85.